Dr. Wolfe has been the Chief of Emergency Medicine at BIDMC since 1999. He trained for three years in emergency medicine at Denver General Hospital, where he subsequently became Associate Residency Director and Residency Director for Emergency Medicine. 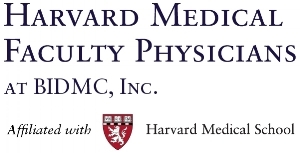 In 1994, he became the Residency Director for the Harvard Affiliated Emergency Medicine Residency for Brigham and Women’s Hospital / Massachusetts General Hospital. Dr. Wolfe teaches internationally and nationally in ED operational topics such as designing integrated emergency departments, ED quality, ED workflow management, ED leadership, and the relationship between emergency medicine specialty training with ED quality of care and operational efficiency. Dr. Edlow is a Professor of Medicine and Emergency Medicine at Harvard Medical School. He lectures nationally and internationally on topics such as stroke, TIA, subarachnoid hemorrhage, and various causes of weakness and dizziness. He is an internationally renowned expert on neurological emergencies. Dr. Edlow’s ED operational specialty areas include ED quality assurance, ED physical layout and facilities redesign, physician professional development, and the creation and implementation of clinical practice guidelines. For the past 15 years, Dr. Edlow has contributed to the international development of emergency medicine in a variety of countries, participating in educational, quality assessment, and emergency care systems consulting projects. Practicing medicine since 1981, he is board-certified in both emergency medicine and internal medicine. Since 1999, Dr. Edlow has served as Vice Chairman of the Department of Emergency Medicine at BIDMC. Dr. Barbara Masser was Chair of the Department of Emergency Medicine at Beth Israel Deaconess Needham (BIDN) from 2012-2017, and was recently appointed Director of Ambulatory Emergency Medicine for BIDMC. Prior to this, she served as Associate Chair at BIDN for 3 years and has been an attending emergency physician at BIDMC since 2003. Dr. Masser's areas of expertise include ED quality assurance program implementation and oversight and ED team training. She currently serves as Director of the Institute for ED Clinical Quality Improvement. Dr. Roberta Petrino is the Immediate Past President of the European Society of Emergency Medicine and, since 2008, has served as the Director of the Emergency Departments in the S. Andrea and SS Pietro and Paolo Hospitals in Vercelli, Italy. In this role, Dr. Petrino has overseen the redesign and transformation of the ED and its medical staff, the creation and implementation of the department's Observation Unit, and the design and implementation of over 25 clinical and organizational pathways. Dr. Petrino completed her M.D. and residency in Internal and Acute Medicine at the University of Torino. A practicing emergency physician since 1997, Dr. Petrino is an expert in healthcare management, hospital organizational strategy, and integrated clinical diagnostic and therapeutic pathways. Dr. Petrino has been devoted to the development and promotion of emergency medicine in Italy and Europe for over 20 years. She was a contributor to the development of the first EM training program in Italy, has been an active member of EuSEM since 1998, and served both as chair of the European Emergency Medicine Curriculum Task Force and workgroup director for the development of the European Board Examination of Emergency Medicine. Dr. Alqahtani is the director of the National Emergency Medicine Program for the Ministry of Health of Saudi Arabia, overseeing strategy and implementation of national standards for and development of emergency healthcare services. He also serves as the national lead for the urgent and emergency models of care within the Ministry of Health’s vision realization office, overseeing the development of national emergency care pathways, including urgent care systems implementation, as a part of the country’s efforts to reorganize and corporatize healthcare by 2030. Dr. Alqahtani has been board certified in emergency medicine since 2010. He possesses a master of science in healthcare management and leadership from Northeastern University and has completed two Harvard-affiliated fellowships in emergency department administration and disaster medicine. Dr. Alqahtani previously held the roles of Chief, Department of Emergency Medicine, and Chief Medical Officer at King Saud Medical City in Riyadh, where he still practices as an emergency attending physician. He has spoken internationally on emergency department quality improvement, sepsis, disaster management, and trauma. His work in the areas of disaster response and the development of emergency medicine has led him to serve in advisory roles within the Ministry of Health and Saudi Health Council regarding emergency department performance indicators and emergency preparedness. As the director of clinical innovations, Dr. Tibbles has expertise in the application of lean principles in the emergency department and in lean team training. Dr. Tibbles has also focused much of her career on risk management strategies and has led two multi-center projects designed to improve communication among providers in the emergency department. Dr. Tibbles has served as the associate residency director of the Harvard Affiliated Emergency Medicine Residency for 10 years and, after completing a fellowship in medical education, became the director for Graduate Medical Education at Beth Israel Deaconess Medical Center. Shelley Calder, MSN, RN, CEN, DNP is the Program Director for Ambulatory & Emergency Nursing Education at Beth Israel Deaconess Medical Center and a Clinical Nurse Specialist in the Department of Emergency Medicine. Shelley is affiliated with the Emergency Nurses Association and is qualified by exam as a Certified Emergency Nurse (CEN). She is course director and instructor for the Trauma Nurse Core Course (TNCC). At BIDMC, Shelley is responsible for the development and implementation of a variety of education programs and certifications essential for staff nurses in the ED, critical care environments, and ambulatory services. She also collaborates with physician leaders to develop and implement quality initiatives and clinical pathways and prepare for regulatory certifications and visits. Shelley is a standing member of the BIDMC QI directors committee, the emergency medicine QA committee, and the Patient Family Advisory Committee. She has made significant contributions to patient care through her lectures, leadership, research, and professional activities. Dedicated to the international development of emergency nursing for over 10 years, Shelley has experience working with nurse leaders and educators in many countries. She has served on the Boston Emergency Department Consortium for 10 years and is also a member of the Massachusetts Emergency Nurses Association and Trauma Committee. She completed her doctorate in nursing practice (DNP) with a dissertation focused on system learning and the use of synchronous education in training clinicians within large hospital networks.